Staying on Montserrat for the summer holidays? We’ve compiled a few suggestions both free and paid which can be enjoyed solo or with friends and family. Get ready to enjoy your break! 1. Learn to Swim. Aqua Montserrat is offering a FREE Swimming lesson this summer. What a wonderful way to build up your confidence to explore the many fabulous beaches on island. 2. Enjoy the Beauty Underwater. Snorkeling, freediving, SCUBA. If you are looking for more of a challenge, then this may be the right time to explore underwater. 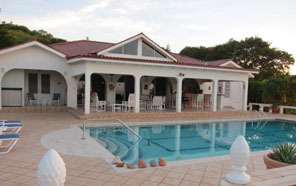 Check out SCUBA Montserrat Dive Shop and Aqua Montserrat for their paid activities. Also Coral Cay Conservation offers a FREE scholarship to train local divers who can assist with their marine research. 3. Try New Recipes. You’ve been clipping recipes from magazines and posting them on your Pinterest board. Now is the right time to gather the ingredients and try them out. Plan an impromptu tasting party and let your friends taste your hand as we say. If you have diet challenges or want to introduce more healthy meals to your family this is the perfect time to let them sample and see what works. 4. Dine at a New Restaurant. Well you keep saying you want to try out Ziggy’s, Olveston House or Ponteen’s. Don’t let summer end and you not make and nice night of it. Some may require reservations so plan in advance. 7. Camp in the Backyard. Sleep under the stars or pull out that tent you haven’t used in ages. With the nice warm weather and limited showers, what better way to enjoy the outdoors at night. 8. Book a villa or a Guesthouse. Splurge a bit on your staycation and check into one of the island’s luxury villas in the southern part of the island for the weekend. If a bed and breakfast is more your style then you have several to choose from, each with fabulous views of the North. 9. Discover a new beach. They call it Bora Bora and it is tucked away on the road to Jack Boy Hill. The view and experience is worth the trek. 10. Book a Boat Tour. Want to see more of Montserrat than you can from your car? A round the island tour will give you tons of photo opportunities as you take in the new land created from the pyroclastic flows. Any more suggestions to add to the list? Tell us in the comments. We always need volunteers to work with the turtles and it’s free if you live on Montserrat where you will be trained in what to do to help save this endangered species. A perfect addition to this list. Thank you Carolyne.